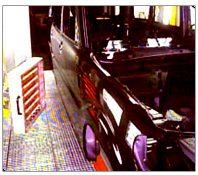 We are manufacture of infra red heating system for “paint touch up” applications for auto-mobile industries. 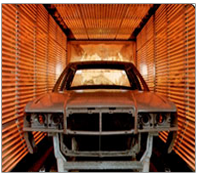 Infra red heating is very effective for paint touch up and produces excellent surface finish due to its controlled and quick heating. 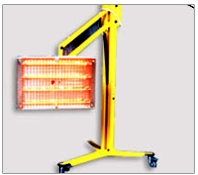 The module has medium wave infra red heaters (make M/s. Infratec, Germany) and it is mounted on the trolley which is either overhead or ground type. Vertical up down movement of the module is controlled by special “gas spring” actuator and angular movement of IR module around its axis is controlled by self locking arrangement. 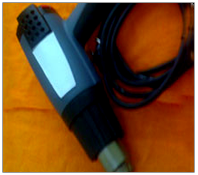 This enables to move module to any position simply by hand and does not require any tools or spanner. 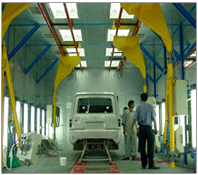 Our system is used friendly and gives only soft glow which is easy on eyes. 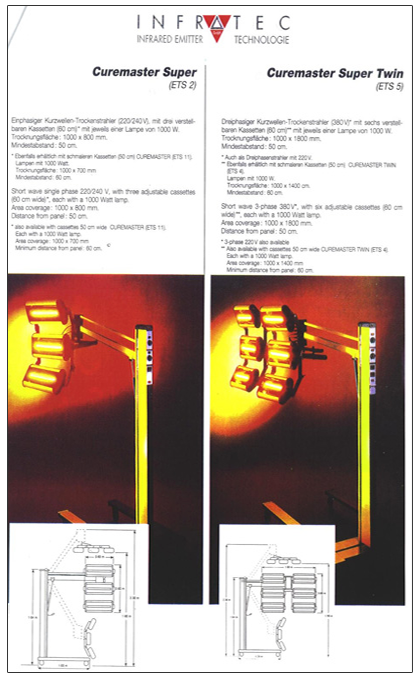 Short wave IR module gives out bring glow which is disturbing to the operator. 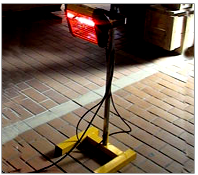 We provide non contact type pyrometric temperature of object. This signal is given to temperature controller which displays the temperature value and issues command to raise/lower power to infra red module so as to maintain the temperature at the sat value. Independent process timer can be provided to switch off the IR module when preset time elapses. Laser lamp helps to precisely align the module with the touch up area..